Explore the Kingdom of the mighty Pharaohs in this fun and challenging Mahjong game. 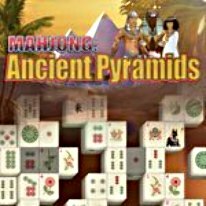 Packed with 100 levels of brain teasing fun, Ancient Pyramids Mahjong is the ultimate puzzle game for everyone. Enjoy a journey through the amazing sights and wonders of ancient Egypt - one of the oldest and greatest civilizations in the known world. Along the way you’ll experience stunning mahjong puzzles in this quest of a lifetime. Featuring colorful graphics, an immersive soundtrack and some stunning power-ups, this one fun-packed mahjong game you’ll never forget. Take in the breathtaking sights of the Nile, Thebes and the great Pyramids, and explore the hidden Treasures of a civilization long gone.